If a book has anything to do with Jane Austen or her work, you can count on me adding it to my TBR. I've adored Pride and Prejudice since I was a little girl, and loved watching the 90s TV series. Hopefully, these books will live up to my expectations! Pride and Prejudice meets Cold Mountain in this debut YA American epic/adventure. She's not the girl everyone expects her to be. Harriet Winter is the eldest daughter in a farming family in New Hampshire, 1807. She is expected to help with her younger sisters. To pitch in with the cooking and cleaning. And to marry her neighbor, the farmer Daniel Long. Harriet’s mother sees Daniel as a good match, but Harriet doesn’t want someone else to choose her path―in love or in life. When Harriet’s brother decides to strike out for the Genesee Valley in Western New York, Harriet decides to go with him―disguised as a boy. Their journey includes sickness, uninvited strangers, and difficult emotional terrain as Harriet sees more of the world, realizes what she wants, and accepts who she’s loved all along. What an interesting crossover—both classic stories combined into something new! Also, I'm really intrigued by the "disguised as a boy" aspect. A Jane Austen-inspired YA tale about a sixteen-year-old girl who finds a magical book—and discovers that anything she writes inside it comes true. But the power of the book is not without consequences, and Emma soon realizes that she isn't the only one who knows about it. Someone is determined to take it from her―and they'll stop at nothing to succeed. A new boy in school―the arrogant, aloof, and irritatingly handsome Darcy de Winter―becomes Emma's unlikely ally as secrets are revealed and danger creeps ever closer. A book where everything the MC writes comes true, AND a Mr. Darcy?! Also, the cover of this one is gorgeous, and perfectly in line with Mechthild Gläser's previous novel—The Book Jumper. I'm curious to see if there is any correlation between the two (though I have yet to read The Book Jumper). Mechthild Gläser was born in Essen in the summer of 1986 and studied politics, history and economics. Even today, she lives and works in the Ruhr area, where she also occasionally plays an unbelievably bad ballet - but only when nobody is looking. She loves to think about abstruse stories and has started writing them down early. She finds inspiration everywhere, but best with a cup of peppermint tea. What are your favorite books written by Jane Austen? What are about some of your favorite retellings or books inspired by her work? Are these books on your TBR? Is this the first time you're hearing about them? Let me know! Ummm...did you say Jane Austen? Sign me up! Did I just saw a potentian P&P retelling with magical books? I'm totally adding it to my tbr! AHHHHH these sound so amazing! Jane Austen inspired?! Definitely wanna read that. Jane Austen inspired?! You can count me in too. I added "The Forgotten Book" to my wishlist a few days ago -any book that mentions Darcy in its summary is a must read. Pretty much every Jane Austen inspired book, you can count me in! I haven't read any Jane Austen books, but these sound great! Great picks! Oooohh pretty new reads! Lol! Loving the cover for that second one and I'm not even a Jane Austen fan. Sounds like an intriguing read all the same! Hope you enjoy both of these once you read them! They're both very pretty! I hope you give them a chance despite not being a Jane Austen fan! Oh I still need to read so many of Austen's work :0 This just reminded me of that :3 Great picks! Same here, I have only read Pride and Prejudice. First time hearing about both of these. 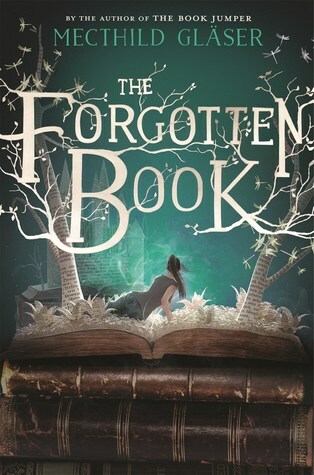 I really like the sound of The Forgotten Book though, definitely adding it to my TBR right away. Hmmm interesting, I hadn't heard of either of these! And I love growing my TBR! Thanks for the recommendations! 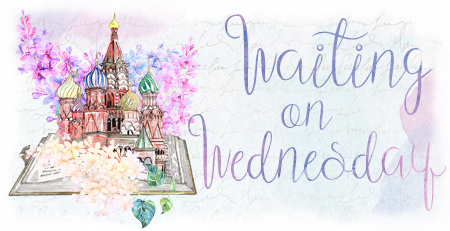 If it's up to me, I'll keep adding to your TBR! 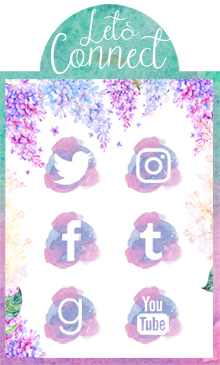 If you're ever looking for recs, feel free to ask! Ummm I need thesese now! THEY SOUND AMAZING ALL THE HEART EYES! Don't they?! I want them NOW. Ah well classics aren't for everyone but you should give them a try and see! I hope you give these ones a chance, Carina! 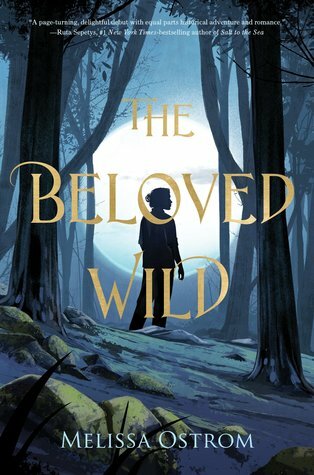 Ahhhh I don't know why but I love it when female characters are disguised as a boy so The Beloved Wild seems like a must-read for me. And The Forgotten Book sounds amazing as well! I love it too! I think it's because it's exciting and usually filled with drama. I hope you enjoy both of these books! Both look amazing! I'm also drawn to anything that hints of a Jane Austin relation! Especially looking forward to The Forgotten Book!! Same, same, same! Hopefully, we both love them! I'm kind of flailing here because I had no idea so many Jane Austen based books were coming out. Thanks so much for bringing them all to my attention! GAH YES. I need The Beloved Wild so, so badly. It sounds freaking epic! And I wondered if there was a connection between The Book Jumper and The Forgotten Book too. I hope so, because The Book Jumper needed a sequel or companion or something. Great choices!